During the past decade, Paul Sindelar’s research has focused on helping schools develop inclusive special education services and preparing teachers to provide them. For example, in a recent study of a Broward County middle school he helped refine a special education inclusion program and identify staff and conduct the professional development needed to support it. In a follow-up study, called Sustaining Inclusion and Restructuring, Sindelar and his colleagues are finding that sustaining teachers’ and administrators’ commitment to inclusion has been undermined by teacher turnover, as well as by state policy, most notably the Florida Comprehensive Achievement Test (FCAT) and its use in school grading. Currently FCAT scores of students with disabilities are not counted toward school grades. “Resources that once supported inclusion have been diverted to programs for students deemed more likely than at-risk students to improve FCAT performance,” Sindelar says. Sindelar also recently received a five-year, $4.25 million grant to collaborate with colleagues at Johns Hopkins and Vanderbilt on the Center for Personnel Studies in Special Education. The center has given him the opportunity to focus on the supply and demand of special education professionals, the quality and effectiveness of professional preparation, and certification and licensure. 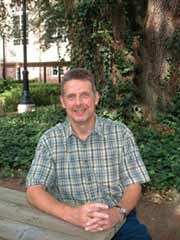 In 2000, Sindelar was honored for his scholarly work with the TED/Merrill Teacher Educator of the Year Award.